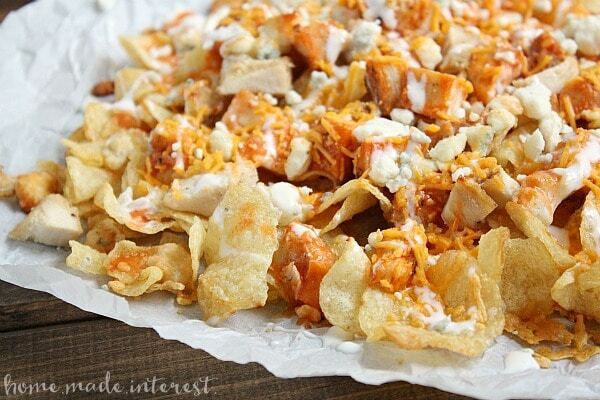 Buffalo Chicken Nachos - Home. Made. Interest. 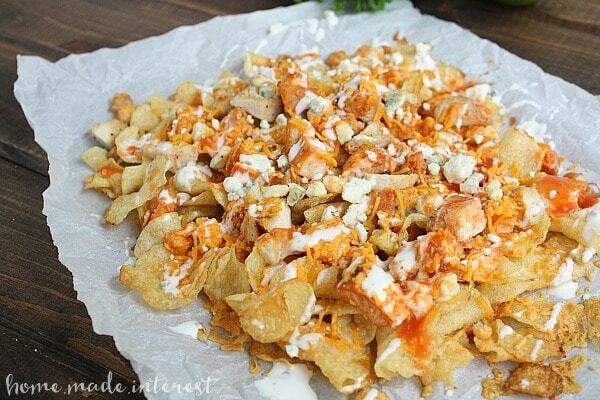 This easy Buffalo Chicken Nachos recipe is made with crunchy kettle chips and tangy buffalo sauce and blue cheese. Thanks to Cape Cod® Potato Chips for sending us several flavors to try, it was hard to pick a favorite! 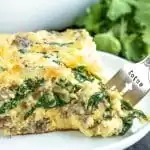 Do you ever just throw a recipe together because you don’t have a lot of time but you’ve got hungry people to feed, and it turns out amazing? 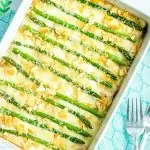 That’s this recipe. It started out with Melinda and I trying to come up with something to serve on game day that would be super easy to make, and ended up with this crunchy, salty, tangy mix of potato chips, buffalo sauce, and cheese. Buffalo chicken is one of our favorite things. 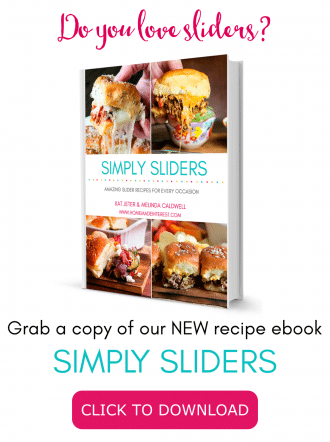 We’ve stuffed it in jalapenos, and cheesy bread, this time we smothered potato chips with it. 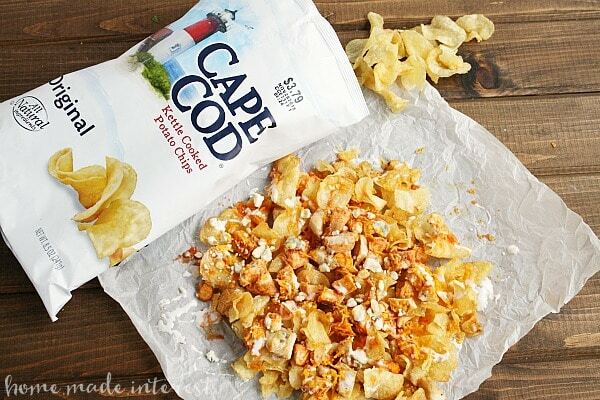 Cape Cod Potato Chips are kettle cooked potatoes so they are super crunchy. They’re thick-cut and handmade, a little bite of New England summer. They also happen to be one of my favorite things to snack on. Last weekend I had a friend visiting from out of town and our first stop was to the grocery store to pick up snacks. We left with a bag of Original, Sea Salt and Vinegar (my personal favorite! ), and Reduced Fat Original Cape Cod Potato Chips. It was a long weekend guys, don’t judge us! 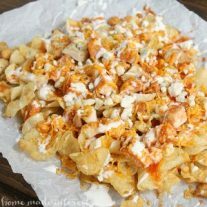 What I’m trying to say is Cape Cod Potato Chips are super crunchy, nice and salty, and they made the perfect chip for our buffalo chicken nachos. They were easy to throw together. We cut cooked chicken up into small cubes and tossed it in buffalo sauce. Then sprinkled it over the potato chips and covered the whole thing with a mix of blue and cheddar cheese. We popped it in the oven for a couple of minutes until the cheese melted and then drizzled everything with blue cheese dressing and a little more buffalo sauce before serving it. 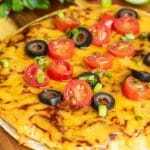 It was such a quick and easy snack to make and everyone loved the twist of using potato chips instead of the usual tortilla chips. 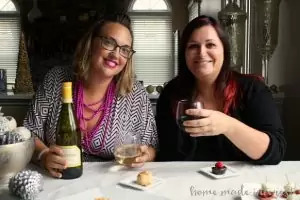 Next time I am going to try it with the Sea Salt and Vinegar flavor. If you don’t have Cape Cod potato chips near you they are available HERE. 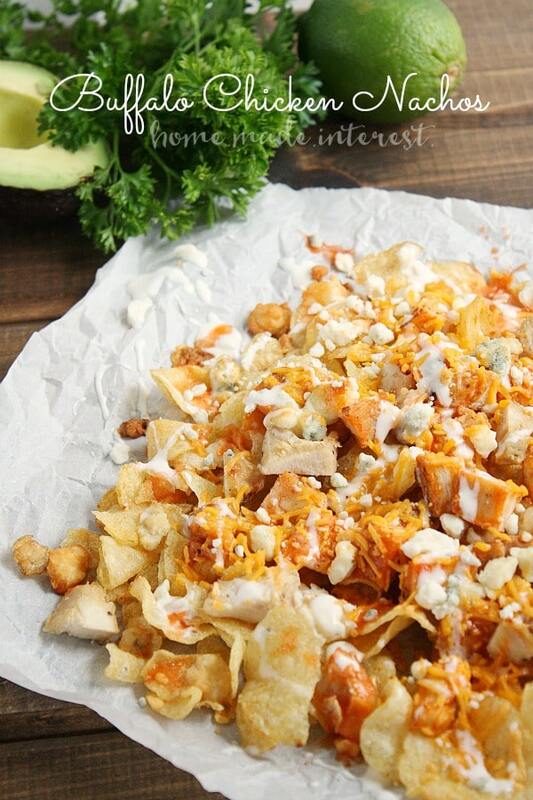 These buffalo chicken nachos are piled high with buffalo chicken, and blue and cheddar cheese. Toss cubed pieces of baked chicken in 1/4 cup of buffalo sauce. Spread chicken over the potato chips. Sprinkle blue cheese and cheddar cheese over the chips. Drizzle with blue cheese dressing and the rest of the buffalo sauce. So, what do you like on your nachos? 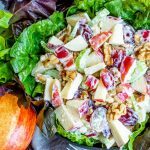 This is a sponsored post written by me on behalf of Cape Cod® Potato Chips.